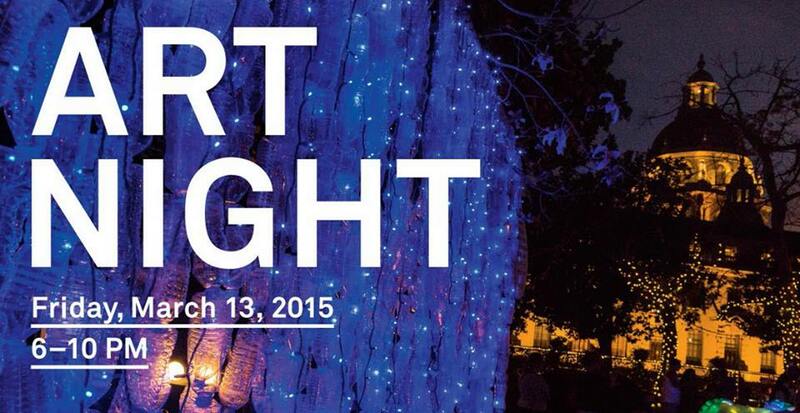 Pasadena’s cultural institutions stay open late next Friday, Mar. 13 for ArtNight Pasadena, a bi-annual evening of exhibitions, music and entertainment that runs from 6 to 10 p.m. As always, ArtNight is free and open to the public. Adding to the fun, each participating venue will be paired with a food truck or two — so you can feed yourself as well as your passion for art! Last fall’s ArtNight drew 22,000 visitors, meaning Metro is the way to go if you want to avoid a frenzied hunt for parking. The majority of the night’s events are within walking distance of the Gold Line Memorial Park Station, and a free shuttle will also be available with stops at each venue, so driving won’t be necessary at all! Visit Google Transit or Trip Planner to find your best route. For the full ArtNight roster, click here. Hope to see you there!